There’s always a touch of nervousness before a writer gets up to read her work. There’s excitement, too. Audience reaction is immediate … laughter at a funny line; stillness when a moment in the story or poem captures special attention. 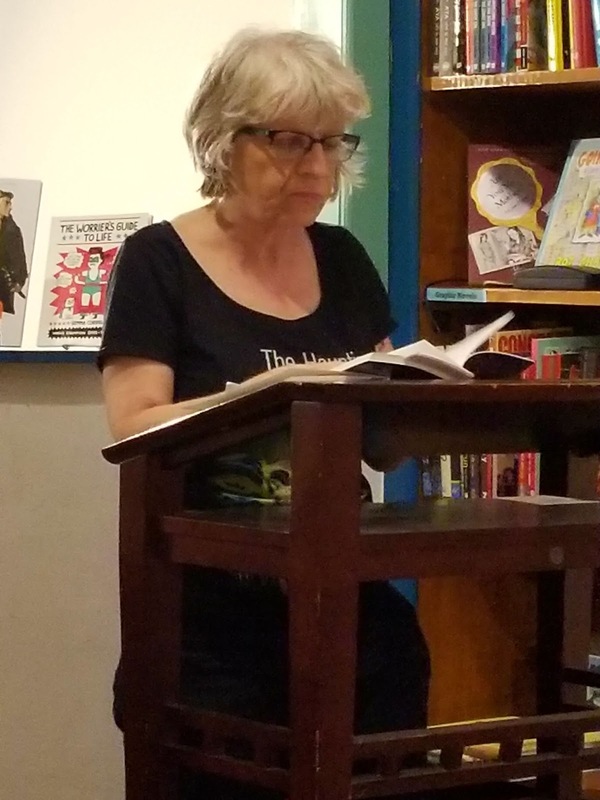 Yesterday I attended a reading by an author from our Women’s Writing Circle, Flo Shore. 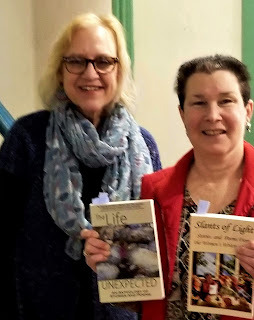 Flo has contributed to both our anthologies, Slants of Light and The Life Unexpected, with beautifully evocative memoir and insightful slice-of-life poetry. 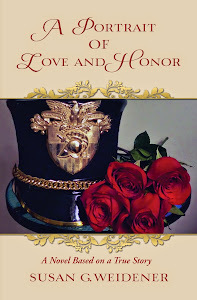 She read from both books, which I had the pleasure of contributing too, as well. 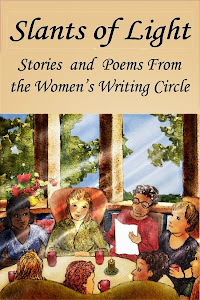 In this blog post, I outline what goes into creating and collaborating on an anthology. 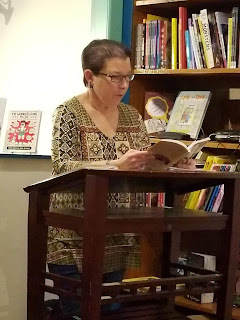 Writer and poet, Ruth Rouff, read with Flo. 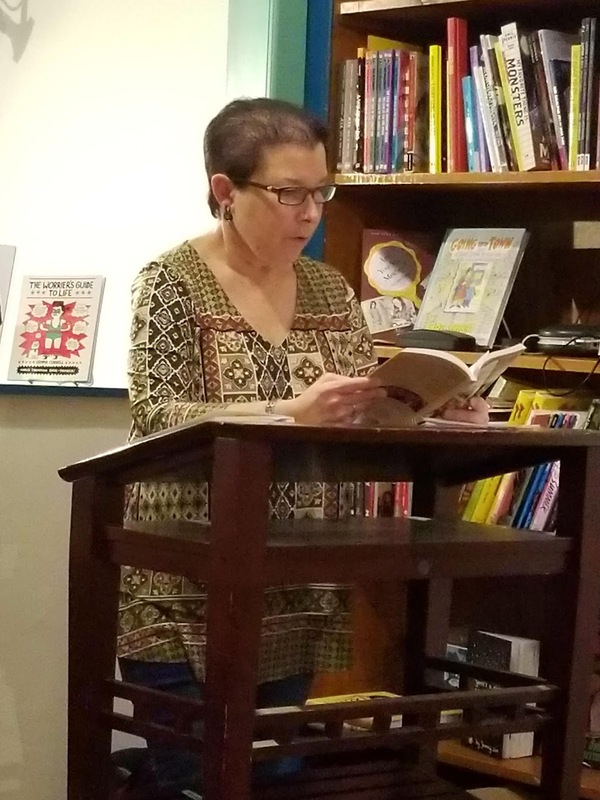 A freelance writer living in Collingswood, NJ, Ruth introduced her new book Pagan Heaven: Poems and Stories. The readings were short, thirty minutes in total, enough to keep an audience engaged without losing them. Light refreshments of green tea, cheese and crackers and purple grapes added to the ambience of the event, held upstairs in a room with shelves brimming with books and a window view of treetops. It’s marvelous when authors decide to team up, approach a venue and offer a reading. In this case, it was the Big Blue Marble Bookstore in the Mt. Airy section of Philadelphia. I’ve written a "memoir moment" about Mt. Airy and Germantown where my parents grew up in this blog post. 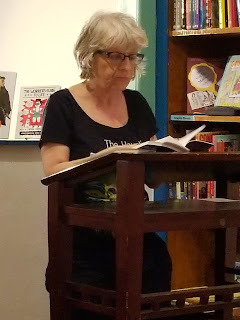 Reading our work in front of an audience or attending readings is all part of the writer’s “portfolio”. She learns by watching and listening. I took a class last summer through IWWG, taught by Mel Ryane; it included some of these pointers on reading aloud in front of an audience. Get into the rhythm of the passage; in other words emphasize your "voice"
I hope my work is real; an audience knows a put-on when they hear it. Go for that aha! moment that the writer’s experience and the audience's are at one, or, at least, familiar. Select passages from your work that offer that connection to your listeners. As Flo writes: memoir not only preserves our individual stories for those who come after us, memoir serves as an adhesive that keeps pieces of social history intact. 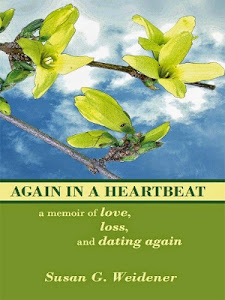 She believes that as memoirists we have the opportunity to expose varying perspectives and to drive attitude change. I believe that, too, which is the essence of why we write in all genres. Readings are a terrific way to get audiences interested in YOU. Offer an introduction before you read that gives your readers a bit about who you are and why you wrote the book. 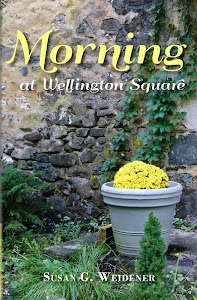 Sell books at a signing afterwards; pass out your business cards and invite bookstores to sell your work on consignment. It's all part of the writer's portfolio. How about you? Can you share your thoughts or an experience on reading your work?